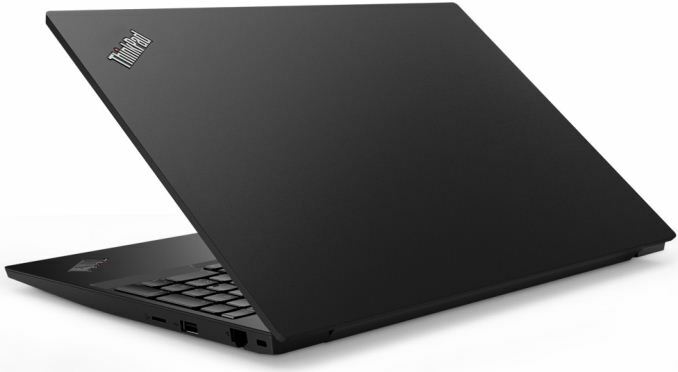 Lenovo has quietly published specifications of its ThinkPad E485 and ThinkPad E585 laptops based on AMD’s Ryzen Mobile processors on its website. Coming in classic black chassis and featuring ergonomic keyboards, the new notebooks are the first Ryzen Mobile-powered PCs aimed at the SMB market segment. 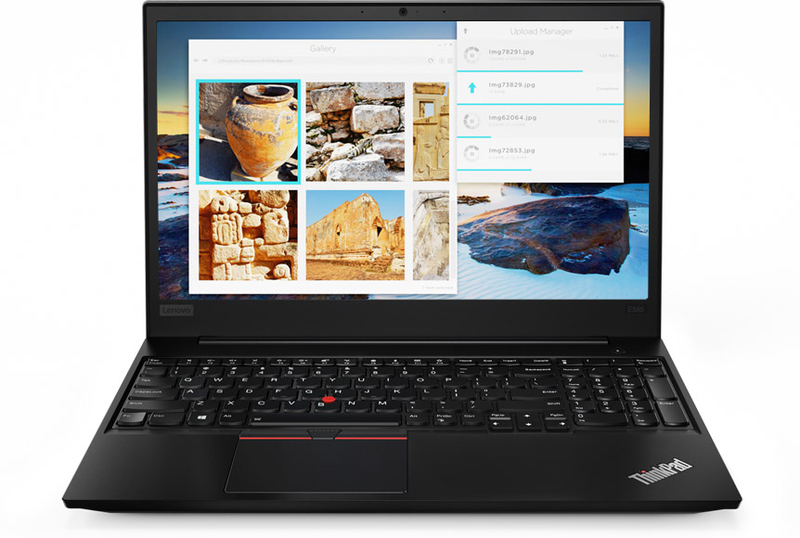 The new ThinkPads are equipped with a dTPM 2.0 chip and are offered with various Lenovo services not available with consumer computers. 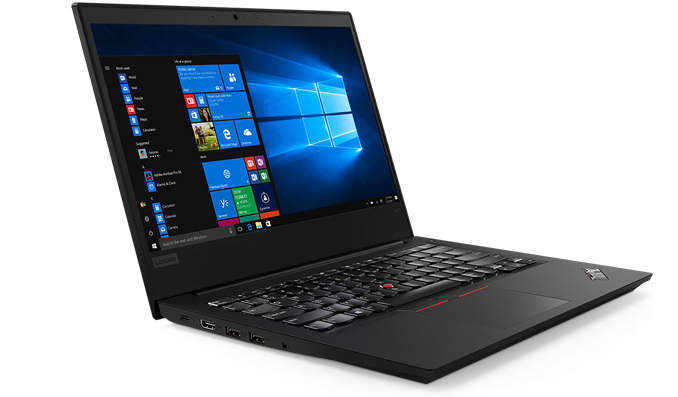 Lenovo’s ThinkPad E485 and ThinkPad E585 notebooks will be offered in various configurations targeting different a wide range of price points. Different configs will be based on AMD’s Ryzen 7 2700U with the Radeon Vega 10, Ryzen 5 2500U with the Radeon Vega 8 or Ryzen 3 2200U with the Radeon Vega 3 APUs. The laptops can be equipped with up to 32 GB of DDR4 memory using two SO-DIMMs likely running at 2400 MT/s. As for storage, the systems may feature a 512 GB PCIe/NVMe M.2 SSD, a 500 GB HDD, a 1 TB HDD or a combination of an SSD and a hard drive. The new AMD Ryzen Mobile-based ThinkPads are generally identical, but as their model numbers suggest, the model E485 has a 14-inch screen, whereas the model E585 features a 15.6-inch display. Speaking of displays, the manufacturer plans to offer two antiglare LCD options with its ThinkPad E485 and E585 laptops: one with a 1366×768 resolution, another with a 1920×1080 resolution. Apart from monitors, the laptops feature slightly different keyboards. The 15.6-inch versions feature a full-sized keyboard with a numpad, whereas the 14-inchers come with a classic notebook keyboard layout. Like other ThinkPads, the new models E485 and E585 are equipped with ergonomic keyboards featuring trackpoints and trackpads. Moving on to connectivity of Lenovo’s ThinkPad E485/E585 notebooks. The notebooks are outfitted with a 1×1 802.11ac + Bluetooth 4.1 controller, a GbE port, a USB 3.1 Type-C header (that is used for data, power, display, and docking connectivity), two USB Type-A (3.0 and 2.0) headers, an HDMI output, a micro SD card reader, a 720p webcam, a TRRS audio jack for headsets, Dolby Advanced Audio-badged speakers, a microphone array, and so on. The systems are outfitted with a discrete TPM 2.0 chip to enable support for various security applications. Meanwhile, only select ThinkPad E485/E585 SKUs will feature fingerprint readers, so biometric security will not be pervasive across the whole range of these laptops. Lenovo says that both AMD Ryzen Mobile-based laptops come equipped with a 45 Wh battery rated for 9-hour operation. With its larger display I would expect the E585 to consume more power than the E485 and therefore offer a shorter battery life, but interestingly Lenovo rates both at 9 hours. The good news is that the E585 can accommodate a larger battery pack and therefore offer a longer battery life. Next up are dimensions and weight. At 21.9 mm z-height, the 14-inch ThinkPad E485 appears to be slightly thicker than the 15.6-inch ThinkPad E585 that has a 19.95 mm z-height. As for the weight, the smaller E485 weighs 1.75 kg and is noticeably lighter than the E585 that weighs 2.1 kg. Neither of the Ryzen Mobile-based ThinkPads can be called thin-and-light, yet keep in mind that these systems feature metallic skeletons and come in chassis made of thick plastics, so they are pretty rugged (not ThinkPad X1 kind of rugged though). If you want to get a thin-and-light laptop featuring an AMD Ryzen Mobile, you should probably take a look at the Ideapad 720S that comes in a 13.6-mm thick aluminum chassis and weighs around 1.14 kilograms (since this is a consumer model it comes with Windows 10 Home and without dTPM 2.0 though). Premier Support by 'advanced-level technicians with the expertise' by phone. Accidental Damage Protection (ADP) - a fixed-cost, fixed-term protection plan. The new Lenovo ThinkPad E485 and ThinkPad E585 notebooks are expected to be available in the coming weeks. When it comes to pricing, it is set to vary greatly. There will be very affordable laptops powered by AMD’s Ryzen 3 2200U APU and featuring hard drives along with ‘HD’ displays that will probably retail for ~$600 or less, whereas the premium machines based on AMD’s Ryzen 7 2700U and accompanied by UHD panels and dual-drive storage subsystems will cost considerably higher. Oh look, another pair of 2004-era low resolution laptops. Because that's what we needed, the same crap we've had, but with AMD this time. AMD and their partners are going to force my hand. My existing laptop is on borrowed time, it hasn't had an easy life, and that's my fault. But that's not the point. I've been using well equipped 15 inch laptops with 4k screens for a few years and desktops with 4k screens before that, and 4k is one of those things that once you have it you can't really do without it. Using quadrants to have 4 1080p windows up at once is a total game changer for developer productivity, way more than any advance in processing power. But you can only get it with Intel. Currently I'm using an Asus laptop you can get off the shelf at any Best Buy for under $1500, with a SSD + HDD, convertible, 4k touchscreen, ips panel, backlit keyboard, everything you expect in a mobile workstation class device. My upgrade path as of today is to buy the slightly updated version of the same thing, or to grab an external HDD and look into the 4k Dell XPS offering. All with Intel, all with discrete nvidia GPU that I keep disabled, but the point is I can get them as easily as I can get a pizza. AMD and AMD partners, I want to give you my money, but you're only offering low-end and low-midrange stuff fit for the shelf at Walmart. You're not capturing hearts and minds this way.